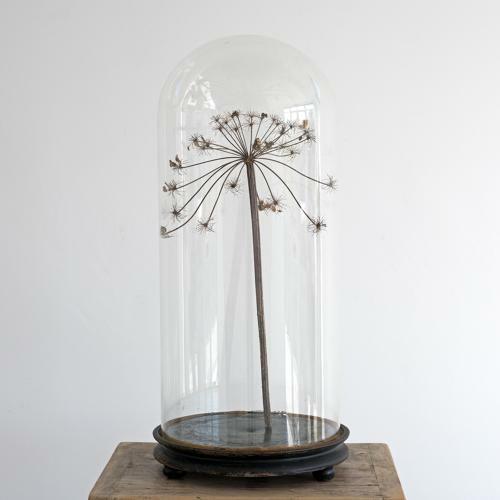 Beautiful grand scale hand blown antique glass dome on original time worn ebonized wooden base. Perfect for displaying curios or other decorative items. French circa 1860.